The Reformation was a seminal moment in world history. It is easily in the top 5 most important, impactful events to ever occur. While there are many players in the Reformation, for the purposes of this presentation, we are focused on the Reverend Doctor Martin Luther, a German Augustinian Monk and author of the 95 Theses, who, on October 31, 1517 (now celebrated as Reformation Day by Lutherans worldwide) at the Wittenberg Castle Church Door in Wittenberg, German, where, today, they have a door with the 95 Theses carved into them at the exact spot where the Rev. 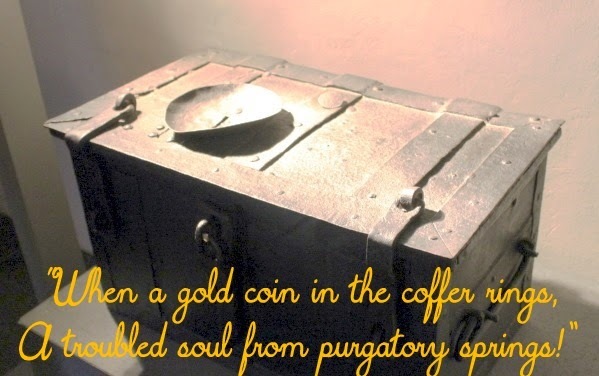 Dr. Luther nailed these theses, written in Latin, to expose the teachings of the Catholic Church, primarily on the selling of indulgences and, secondarily, on the doctrinal policies about purgatory, particular judgement, and the authority of the Pope. "In the authority of all the saints, and in compassion towards thee, I absolve thee from all sins and misdeeds, and remit all punishment for ten days." The selling of these indulgences was to pay for the reconstruction of St. Peter's Basilica in Rome. The sale of indulgences for this purpose occurred under Pope Leo X, although half of the money from the sale of indulgences went to the Archbishop of Mainz, Cardinal Albrecht of Brandenberg (who was Tietzel's direct superior) in order to pay off the debts he incurred securing his seat as an Archbishop. Rev. Dr. Luther wanted an academic debate. This is why the theses were written in Latin. 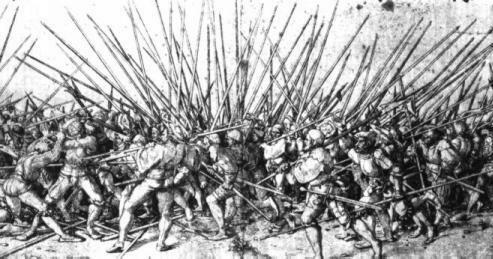 However… that was never to be, due to the translation into German and wide distribution of the 95 Theses that caused an absolutely firestorm. The result? Well, it had an impact far beyond just theological reform. 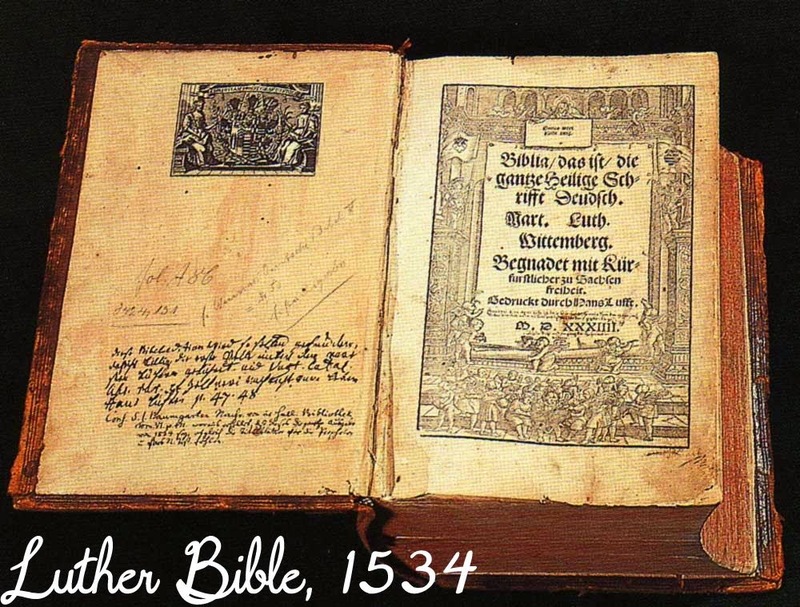 But perhaps the most important cultural impact was the publishing of Luther’s Bible in 1534. This piece of work codified the German written language in a way it never was before. While there are still a wide range of spoken German dialects, the written language is largely unified thanks to this translation. Additionally, this piece of machinery absolutely revolutionized the Reformation. The printing press was literally the social media of the day, and Luther seized upon that. There was an excellent article in The Economist a few years ago that talked about this. “It's also what happened during the Reformation, nearly 500 years ago, when Martin Luther and his allies took the new media of their day—pamphlets, ballads and woodcuts—and circulated them through social networks to promote their message of religious reform. Scholars have long debated the relative importance of printed media, oral transmission and images in rallying popular support for the Reformation. 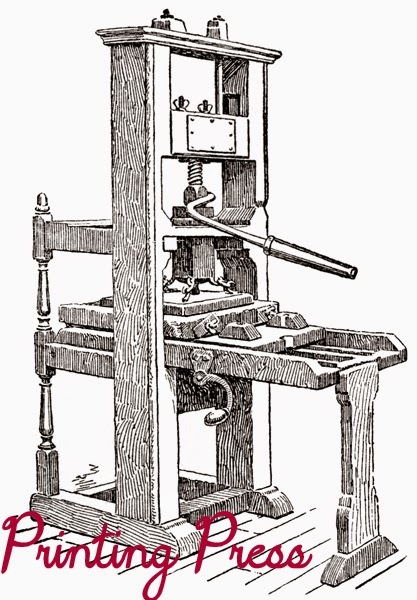 Some have championed the central role of printing, a relatively new technology at the time. Opponents of this view emphasise the importance of preaching and other forms of oral transmission. More recently historians have highlighted the role of media as a means of social signalling and co-ordinating public opinion in the Reformation. As much as I’d like to stay out of the theological weeds, I would be very remiss if I didn’t briefly go over one of the greatest theological triumphs of the Reformation: the distinctly Lutheran doctrine of the Three Estates and Two Kingdoms Theology. 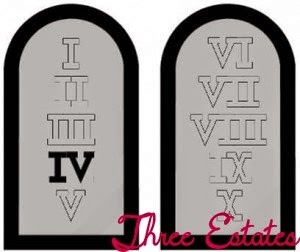 The Fourth Commandment ("Thou shalt honor thy father and thy mother") establishes all authority and is the font of societal order and the foundation of all other commandments following. Estates are the ordering of society. For more about the role of Christians in government and voting, I highly recommend this resource from my Pastor, Bryan Wolfmueller, called the Voters Guild to the Ten Commandments. It is VERY important not to confuse these estates (i.e. into a theocracy unless it is established by God--the ONLY one ever established was in Old Testament Israel). It is wholly inappropriate to confuse or commingle the role of the church and state. Continued in Part 2, Part 3, and Part 4.